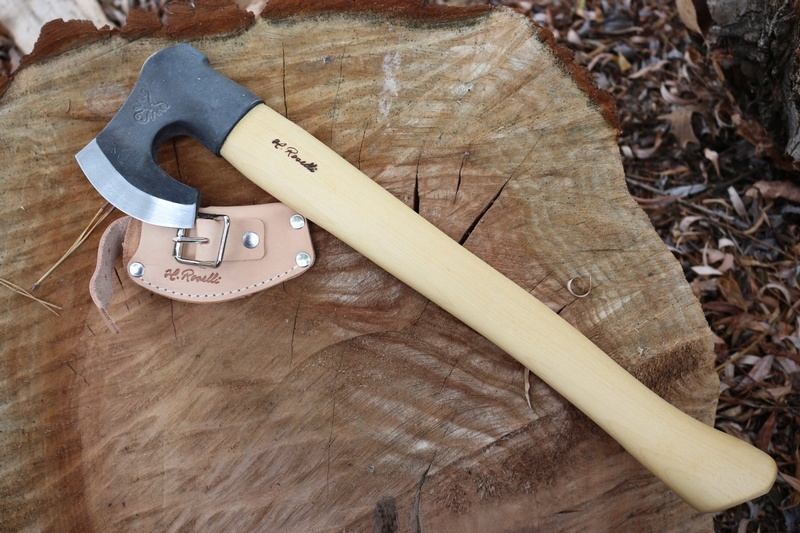 This superb Made in Finland axe is great for Bushcraft or Woodworking, a compact backpack axe and a practical and useful companion on the trail. A unique design, the axe offers great grip and thats useful for all types of close cutting work, as well as chopping. Compact but with ample cutting power and with a superb Roselli forged steel head this is a really top class tool. 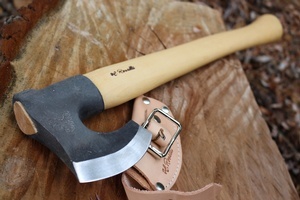 Made in Finland, comes with leather head cover. This item is currently out of stock, but more are on the way. You can receive an In-Stock Notification by email when new product arrives. 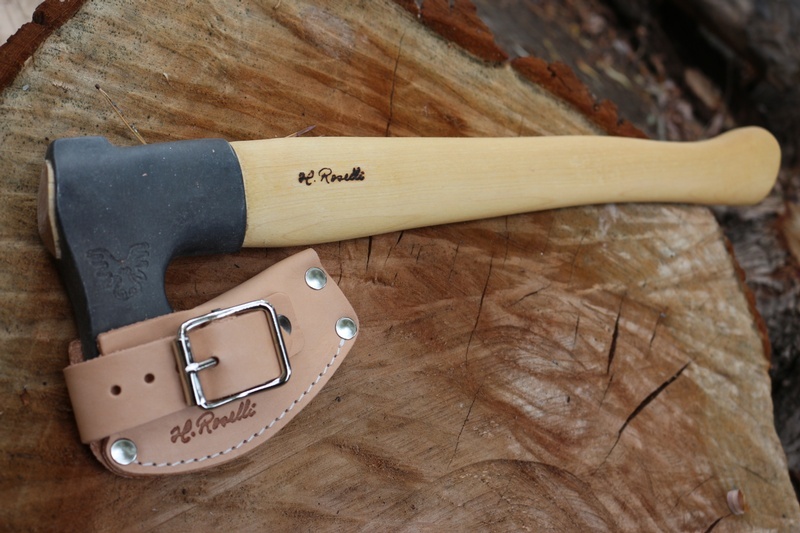 Purchase through PayPal by using the "Add To Cart" button above or use the form below to order the Roselli R850 Axe Finland . 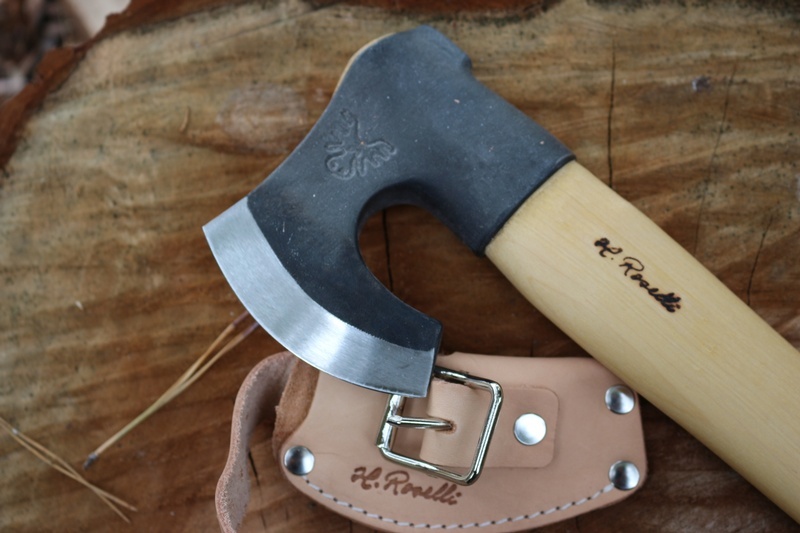 Feel free to contact us if you have any questions about the Roselli R850 Axe Finland .